You think E3's a console show? Pfah! Catch up with all the big reveals here. E3 is a console show. It’s common knowledge. The big-name publishers trip over themselves to announce PlayStation and Xbox exclusivity deals during blockbuster “Day Zero” conferences, and Sony, Nintendo, and Microsoft’s booths eat up mammoth chunks of the conference floor. 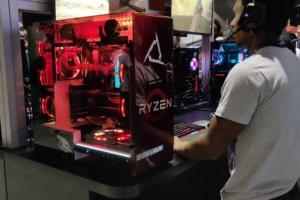 But here’s the thing: While consoles get all the E3 hype, the vast majority of the games revealed at the show actually wind up on PCs as well, thanks to the inclusion of AMD hardware in every major next-gen console. Every time you hear the term “console exclusive” at E3—rather than PlayStation or Xbox exclusive, specifically—that means the game’s destined for computers, too. And this year there were a whole lot of “console exclusives,” not to mention a whole show devoted solely to PC gaming. In the age of e-sports and Overwatch, Quake’s making a comeback. 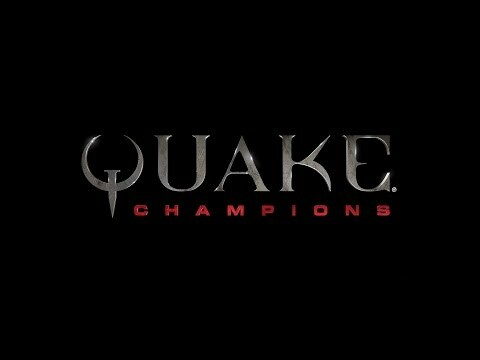 Id Software promises Quake Champions will be just as fast, well-armed, and explosive as the entries of yesteryear. After playing through the superb recent remakes of Wolfenstein and Doom, well, we’re inclined to give them the benefit of the doubt—despite Doom’s lackluster, farmed-out multiplayer. PC enthusiasts, take note: Developers specifically called out support for 144Hz displays and unlocked frame rates, so Quake’s comeback should run smoothly for keyboard and mouse devotees. We’ll learn more at Quakecon. 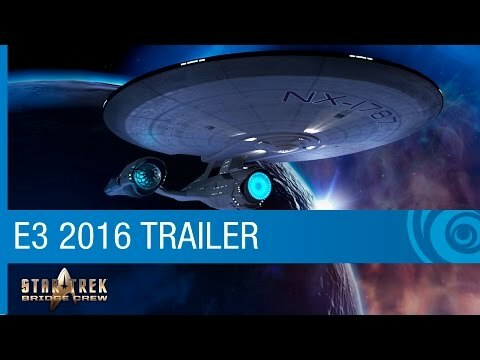 Four words: Virtual reality Star Trek. Seriously. 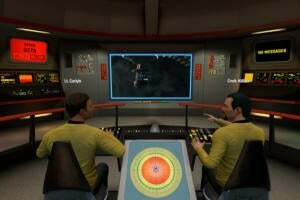 Star Trek: Bridge Crew plops you and three buddies at stations in the bridge of the legendary Enterprise, where you’ll have to work together to raise shields, take evasive actions, forward thrusters, and so forth. In virtual reality. It sounds simplistic, but I can’t wait to try it out. 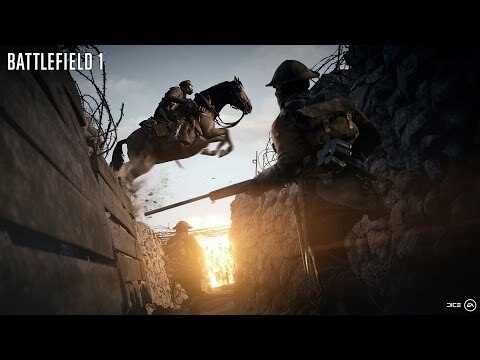 EA didn’t really reveal much at E3 that wasn’t already teased in Battlefield 1’s world launch trailer—but it did let us play the game’s Conquest mode after the big event, and wow, Battlefield 1 is stunning in a “Michael Bay movie” sort of way. The chunky weapons and visceral melee combat feel heavy and powerful, and those much-touted zeppelins? Believe the hype. The first time you look into the sky to see a flying fortress blotting out the clouds and raining firepower down on your head, it’s utterly terrifying. Titanfall 2 still packs all the highly mobile, wall-running, mech-blasting shooty fun of the original, but this sequel’s building atop the first game’s bones. A new grappling hook looks to make on-foot action even more mobile, while six new Titans—some of which seem to specialize in ninja-like melee beat downs—expand your heavy armor options. 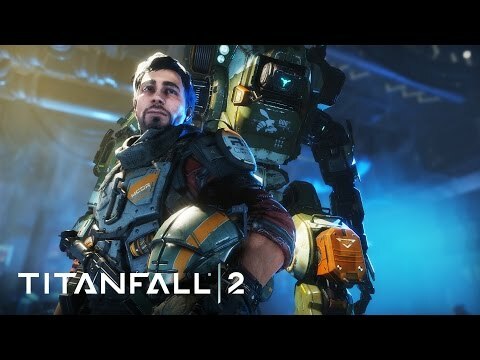 And get this: After the first Titanfall went multiplayer-only, Titanfall 2’s getting an honest-to-goodness singleplayer campaign. You’ll be able to try it yourself in a technical beta held sometime before the game’s launch on October 28. Oh, by the way: Titanfall 2 will support 144Hz frame rates on PCs. Yessss. It’s been a long time, Prey. 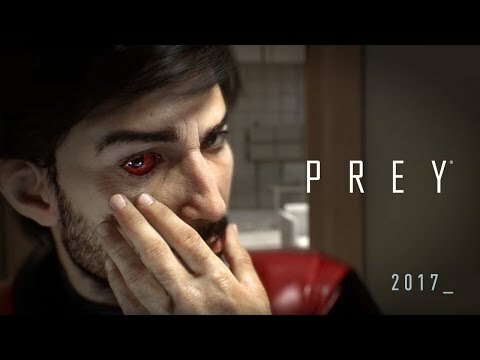 Debuted, then canceled, and now debuted again, Prey showed off a suitably-creepy trailer during Bethesda’s press conference of a man with horrible conjunctivitis trying to clear a space station of an alien infestation. It shares very little with the bounty hunter idea originally pitched by Human Head for a sequel, nor is it billed as a true sequel. I don’t care. The game looks great—and ex-Obsidian wordsmith Chris Avellone is confirmed as part of the writing team. Even better. 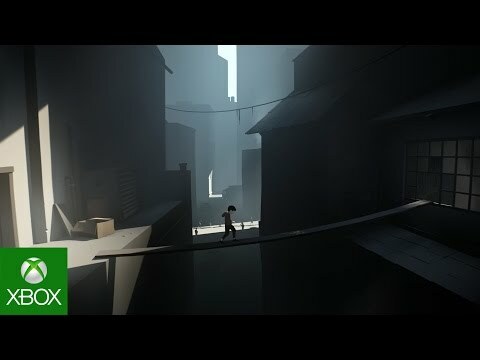 Dishonored was one of the greatest games in recent memory, building from the same building blocks of the original Deus Ex’s system-driven gameplay. Dishonored 2 sticks to the same wonderfully luscious vibe as the original, but adds even more gameplay options by introducing Emily as a playable character alongside Corvo—complete with a whole new set of world-altering abilities. You can see some of them in action in the gameplay trailer above, and try them for yourself when the game launches on November 11. 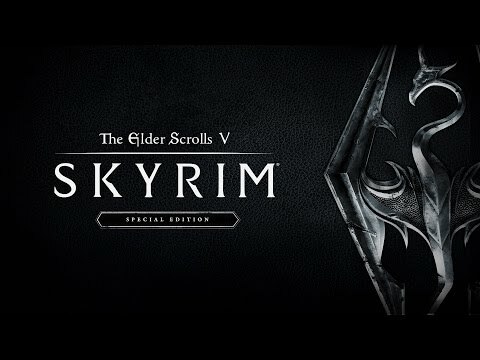 I wasn’t really onboard with Bethesda’s purported Skyrim remaster at first—why would we re-buy a remaster of a game that’s only five years old? One that’s still one of the PC’s biggest titles and one you can already make look pretty damn good with mods? Then Bethesda made it clear anyone who already owns the game and all DLC (or the Legendary Edition) will receive the remaster for free. Well played, Bethesda. It’s basically like they went in and installed all those graphics mods for you. 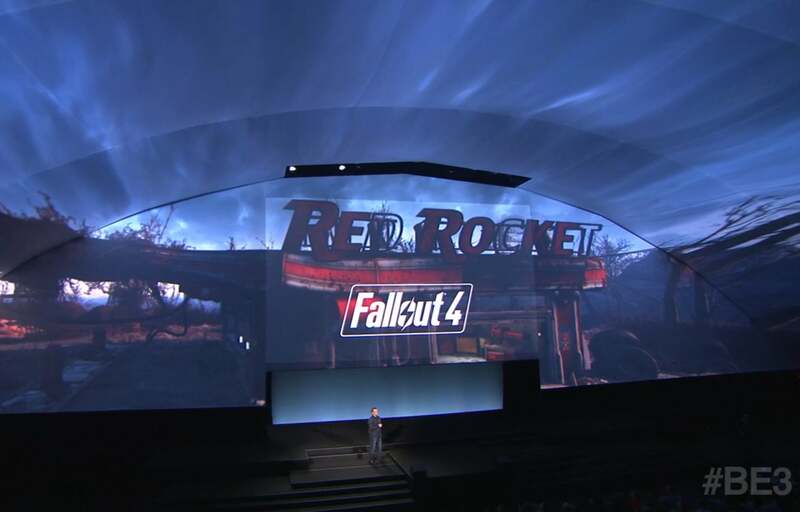 There’s also more Fallout 4 DLC coming, no surprise. Most of it is just settlements filler, but one massive story-based expansion set in an abandoned amusement park called Nuka World has promise. And the popular Fallout Shelter mobile game is coming to PCs with a slew of content tweaks, too. Hey, remember when Bethesda’s parent company Zenimax sued John Carmack after he moved to Oculus? Well, I guess that explains why Bethesda only made mention of bringing Fallout 4 to the Vive later this year—but it is coming. One of last year’s biggest RPGs is apparently set to become a full-fledged VR title this fall. Impressive, and a big coup for the Vive. 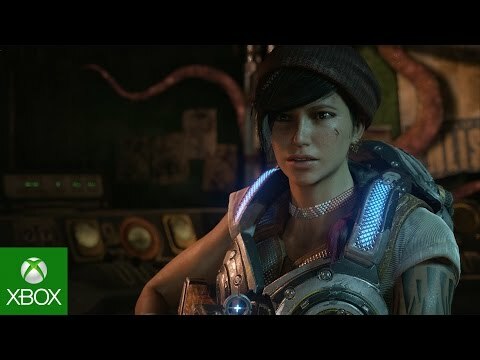 Gears of War 4 looks like a shinier, higher-resolution version of the previous Gears of War games, but since the previous Gears of War games rocked third-person pop-and-stop co-op action better than pretty much any other games, that’s exactly what you want to see. More interesting to PC gamers is that Gears 4 represents one of Microsoft’s first Xbox Play Anywhere titles. Play Anywhere titles you buy for Windows 10 will also be available for your Xbox One, and vice-versa, complete with co-op multiplayer between the two platforms and cloud saves that follow you to any device you use. Groovy. 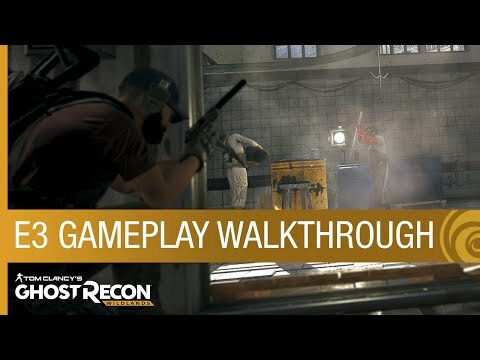 Ubisoft introduced Ghost Recon Wildlands at last year’s E3, promising an open multiplayer world where teams of “Ghosts” could conduct missions against drug cartels in a wide variety of ways. Stealth? Sniping? Guns blazing? It’s all up to you. 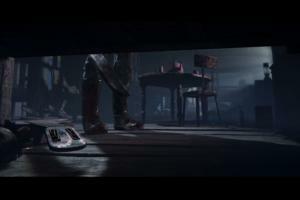 This year, Ubisoft showed off extended gameplay footage of one of those missions, with each of the four players performing very different roles. 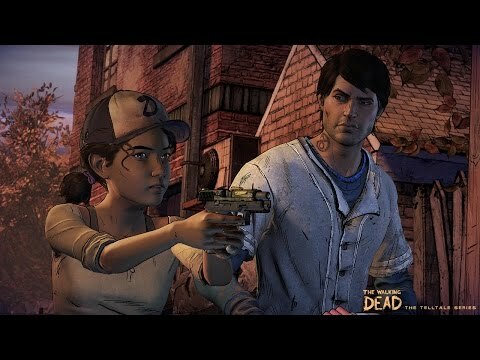 This game could prove to be an interesting rebirth for the series if it shakes out right. We’ll know when it launches on March 7, 2017. Arma III’s Apex expansion lands on July 11, with a massive new island called Tanoa to explore. 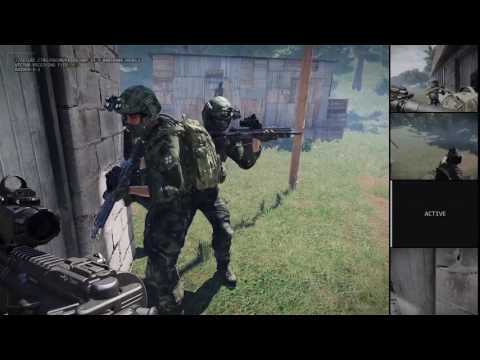 Bohemia Interactive launched a preview build of the expansion alongside a new E3 trailer, so the mod makers who breathe such incredible vitality into Arma have time to integrate the new goodies. I’m looking forward to digging into this with the excellent Battle Royale mod. The Forza Horizon series has been my favorite arcade racer ever since the first one released in 2012. The music, the aesthetic, the car customization, the handling—I’ve never been a big fan of the more serious Forza games, but Horizon is exactly what I want. So a Forza Horizon 3? 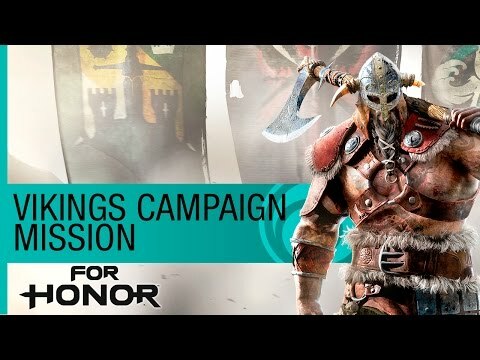 And for the first time it’s coming to PC? This instantly shot to the top of my most-anticipated list. 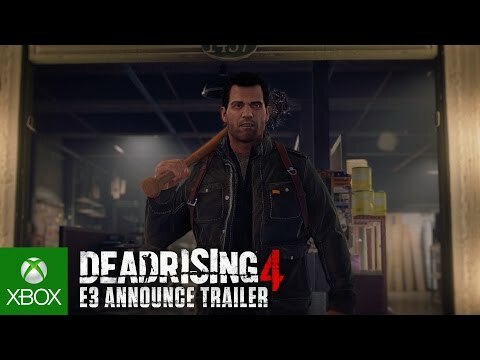 Frank West, the photographer hero of the first Dead Rising, is back in Dead Rising 4. Murdering massive hordes of the undead looks just as zany as ever, and it looks like Frank’s even headed back to a mall, at least for part of the game. Listen, Dead Rising’s a guilty pleasure of mine. Even if this just wound up being a DR1 remake imbued with DR3’s enhanced technical chops, I’d be happy. Cliff Bleszinski designed both Unreal Tournament and Gears of War, and he’s heading back to his arena shooter roots with Lawbreakers, a fast-paced shooter from Boss Key Studios. 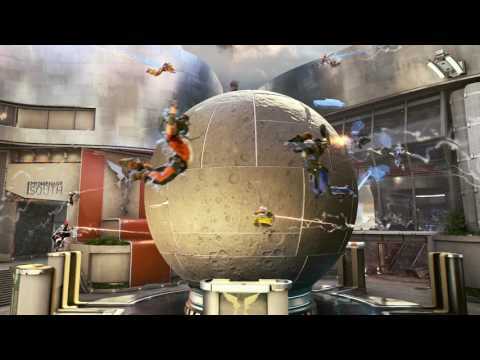 Boss Key’s been showing off Lawbreakers for a while now, but a new E3 trailer revealed both a new game mode as well as a new Santa Monica map. Look for the game to hold an early alpha test on June 18 and launch in Early Access sometime this summer. 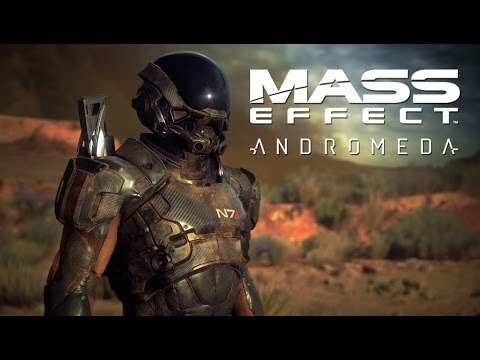 Another year, another “behind the scenes of Mass Effect Andromeda” teaser that doesn’t really show much gameplay. 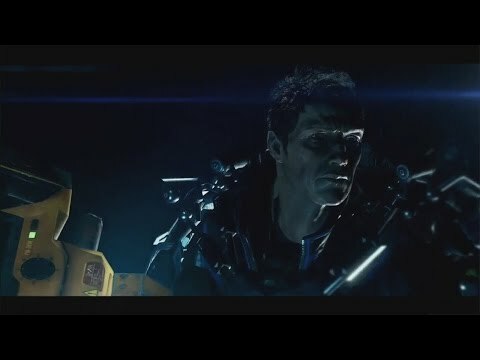 If you pay close attention, though, you’ll get a glimpse of your team and a possible protagonist, along with stand-ins for the Normandy and Mako. 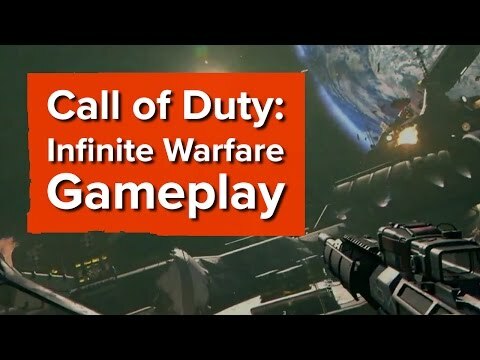 If Call of Duty: Infinite Warfare weren’t titled Call of Duty, I think I’d be more excited. The trailer showed off the game’s new space battles, both in a ship and on foot, and it looks kind of incredible. Hell, it looks like Infinity Ward took some cues from EVE Valkyrie for its dogfighting, which isn’t a bad thing. But then I remember that Infinite Warfare’s predecessor was the abysmal Call of Duty: Ghosts and my interest wanes a bit. Hopefully this is a good year for the long-running shooter. 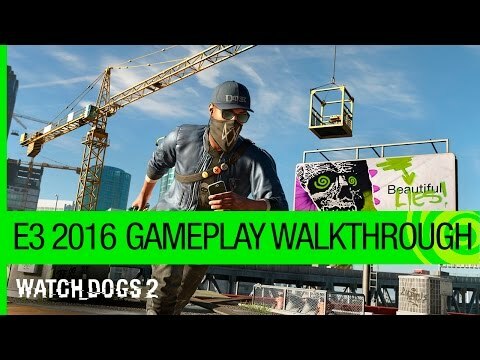 Watch Dogs 2’s E3 presence didn’t really provide any new info beyond what was revealed in the game’s announcement earlier this month. You’re a hacker in a San Francisco that seems slightly more light-hearted than the first game's. But Ubisoft gave us a 10-minute-long look at Watch Dog 2’s mixture of stealth, action, and hacking, and the world looks pretty impressive. Well, except for that weird guy with emoticons for eyes and spiked shoulder pads. Stop trying so hard, Ubisoft. Expect lots of zombies, lots of hard moral decisions, and lots of NPC death. After being teased at last year’s E3, ReCore pretty much dropped off the radar. 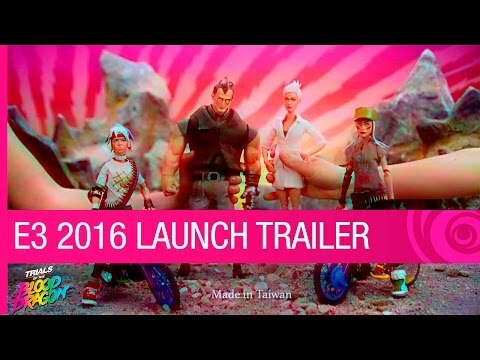 It’s back again this year, with a trailer that’s part trailer, part gameplay, and all about putting electric cores into robot pets and navigating worlds with their unique powers. 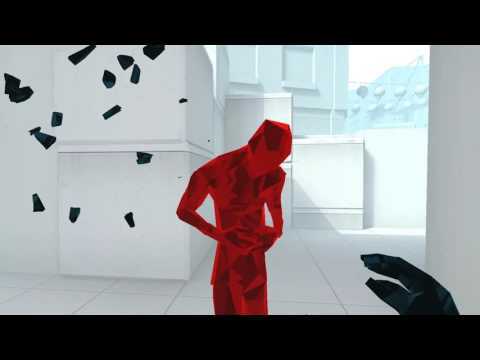 Aside from the fact that the game’s a third-person platformer, it’s still mostly a mystery. Platinum Games is known for making badass games, and this Scalebound teaser lives up to the reputation, as the headphone-clad hero fights an impossibly massive monster from the back of a dragon. The action RPG’s expected to launch sometime in 2017. Surprise! For Honor seemed to be an Ubisoft take on Chivalry or Mount and Blade with straightforward multiplayer melee action, but this sword-swinging game’s getting a full singleplayer mode heavy with lore, too. Who would’ve guessed it? 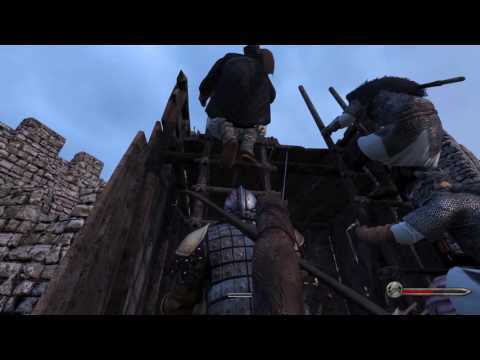 Mount and Blade II: Bannerlord, on the other hand, sticks to what Mount and Blade is famous for: Massive medieval melee battles. This time around though, it’s adding all sorts of siege warfare elements to spice things up a bit. Check it out in the trailer above. The team behind Chivalry decided to give the medieval battles a rest for round two, though it’s not ditching fierce combat entirely. Mirage: Arcane Warfare blends killer magic with crunchy melee combat in a fantasy world that’s waaaaaay more colorful than Dark Age-era Europe. Lionhead may have gone down and taken Fable Legends along with it, but Rare’s pirate-y co-op game Sea of Thieves is still alive and ticking, despite largely flying under the radar since last E3. 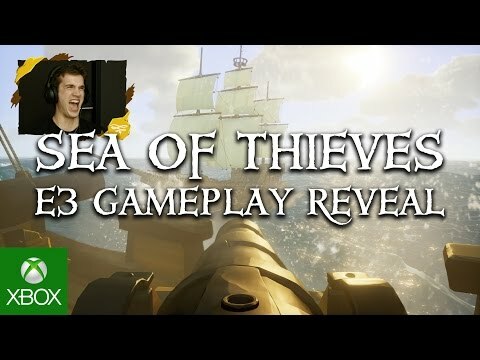 While last year’s tease was a simple trailer, this year’s showed off actual gameplay, as a crew of gamers cooperatively manned a ship, explored islands, battled rival boats, and swilled grog in unison. Sounds like my kind of game. As announced earlier this year, Relic’s working on Dawn of War III. 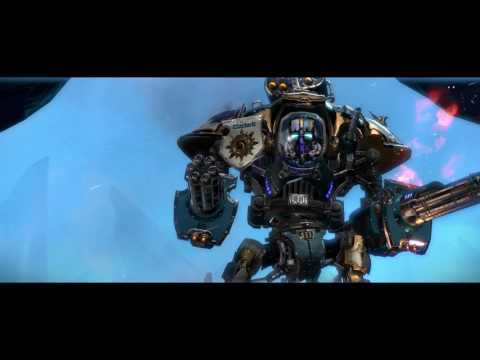 The gameplay video shown at the PC Gaming Show reveals an intriguing mix of the first game’s large armies and the second game’s elite soldiers, with a dash of giant units and heavy weaponry thrown into the mix. 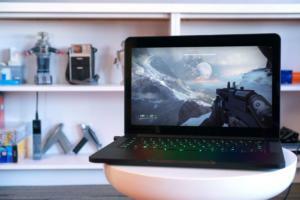 It’s expected to launch sometime in 2017. Let’s be blunt for a second: The original Halo Wars wasn’t very good. 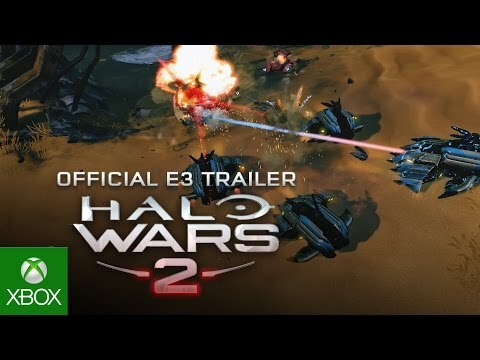 But that hasn’t stopped Microsoft from announcing Halo Wars 2 as a flagship Xbox Play Anywhere title. Maybe Microsoft’s learned from its mistakes, though: Creative Assembly, the studio behind the wonderful Total War series of games, is giving 343 studios a hand in crafting Halo’s latest real-time strategy game. If you’ve got an Xbox One, you can give the game a whirl in a beta being conducted this week, withbefore the game launches properly on February 21, 2017. 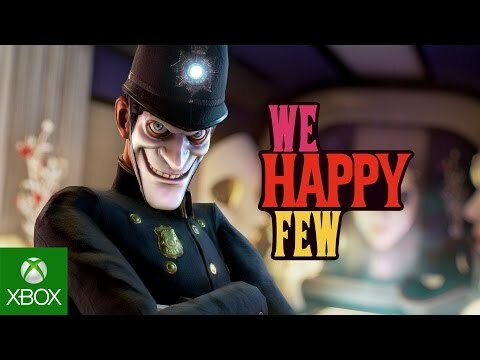 This dystopian game’s ostensibly set in 1964 in an alternate universe where England succumbed to Germany in World War II, but watching this trippy trailer, We Happy Few comes off as a mixture of Brave New World and the murderous collapse of Bioshock’s Rapture. Which is an idea I can get behind in theory! The big question is whether the gameplay can live up to the game’s incredible atmosphere. Ubisoft’s super hero-themed followup to the surprisingly excellent South Park: The Stick of Truth RPG will land in December, with farts even more devastatingly powerful than before. The original State of Decay had some rough edges, but the zombie-filled survival sandbox proved awfully compelling thanks to a mix of character fragility, perma-deaths, and a world that trudged along even when you were offline. 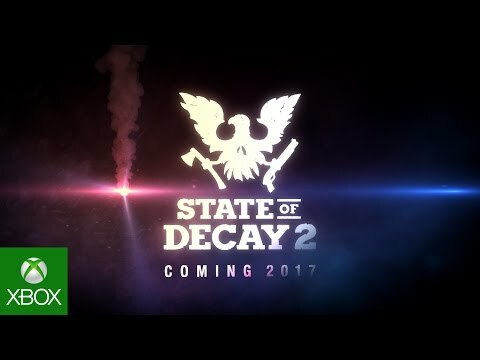 State of Decay 2 looks like a more refined version of its predecessor, and one with a stronger focus on cooperative multiplayer. 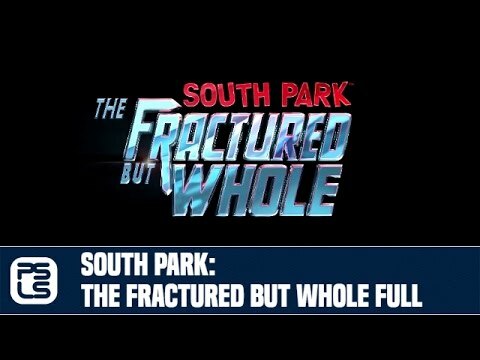 An open-world mafia game where you’re trying to build an old-school crime syndicate to take on the Italian mob in a Louisiana-esque setting? Color me intrigued. A pair of big Division updates are inbound, desperate to soothe a player base frustrated by cheaters, hackers, and a lacking end game. 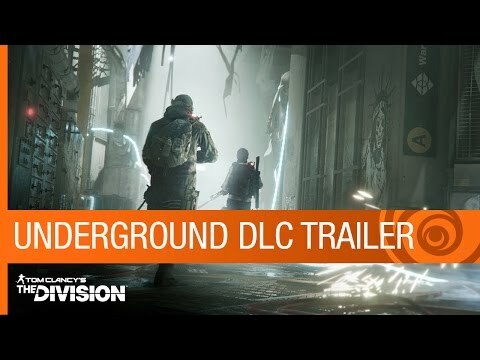 First up is an expansion dubbed Underground, which will explore post-apocalyptic New York’s subways and tunnels on August 2. Ubisoft also took the wraps off another DLC pack called Survival that adds survival-based elements to the game. You know, because realistic survival elements and enemy bullet sponges go together like peanut butter and jelly. 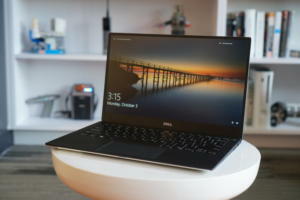 Of all the press conferences, Sony’s was the lightest on PC love. The company mainly focused on fleshing out its admittedly weak roster of PlayStation exclusives, and unlike Microsoft it still means actually exclusive. But the stand-out moment? A visit from Hideo Kojima, newly liberated from the iron grip of Konami. 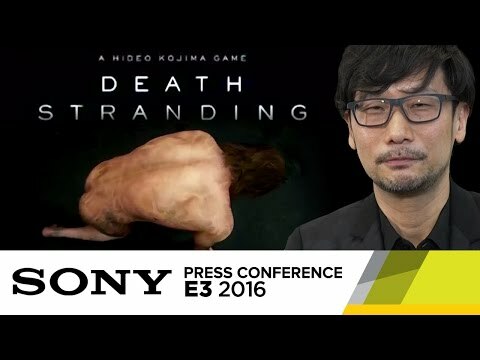 Sure, his new game is probably a decade or more away from release (only a slight exaggeration) but hey, the trailer featured a naked CG Norman Reedus hugging a baby, so I bet it’ll be fantastic. 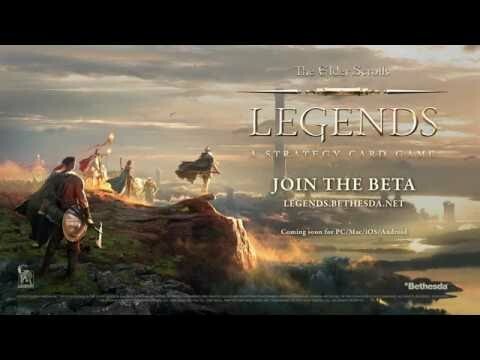 You know that Elder Scrolls-based card game/Hearthstone clone that Bethesda revealed last year? Well, it’s still not ready. But the company’s released a new trailer for the game and opened Elder Scrolls Legends’ closed beta to more people so that hopefully, the game launches before the next E3 rolls around. How much time did you waste in The Witcher 3’s taverns and shops playing Gwent? A lot? 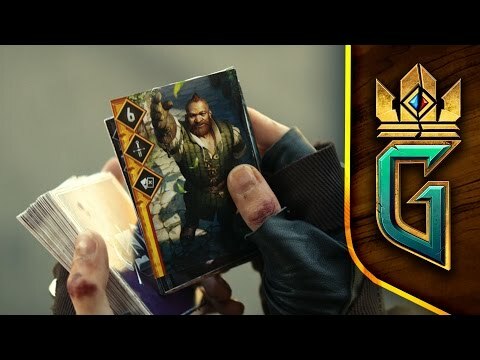 CD Projekt apparently thinks it was enough to justify the creation of Gwent: The Witcher Card Game, which turns the popular minigame into a standalone card game all its own. And there’s apparently a singleplayer campaign shipping with the game. Interesting. 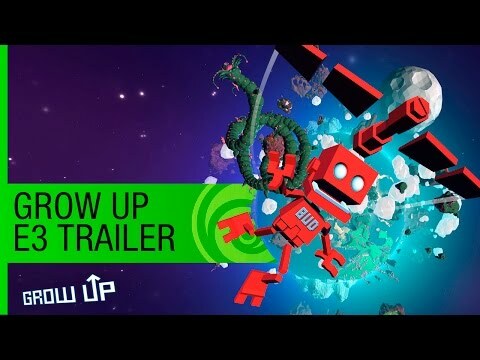 The tiny experimental game Grow Home, about a red robot named BUD trying to climb to space, was a surprise hit in 2015—enough of a hit, apparently, to warrant a sequel titled Grow Up, with a bigger world and more things to do. 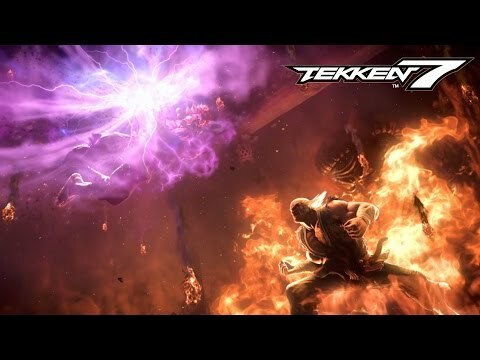 It’s Tekken, now with more of Street Fighter’s Akuma and a story mode that mimics Mortal Kombat’s. Trials of the Blood Dragon mixes the over-the-top Trials gameplay with the even-more-over-the-top, 80s-tinged retro world of Far Cry: Blood Dragon. This game looks crazy, and it’s available right now. 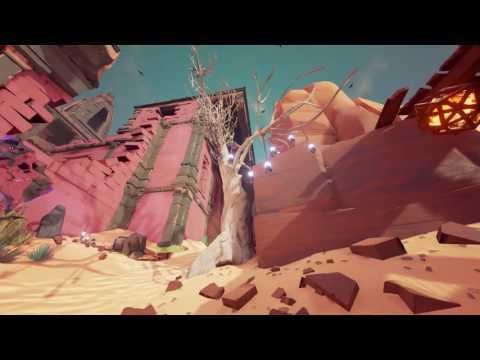 This funky-looking indie game is exactly what the title says. You play a giant cop, enforcing law from the heavens. Naked people on the beach? Pick them up from your position in the sky and throw them in the water. Man being mugged? Grab the mugger and throw him in the water. Hippies? Throw them in the water. Sure, it’s a gimmick, but it still looks like a fun time. Lords of the Fallen was one of the better-executed Dark Souls clones, and now the team behind the game’s back for another stab at methodical combat, only this time with a gritty sci-fi vibe. There’s still swords, though. 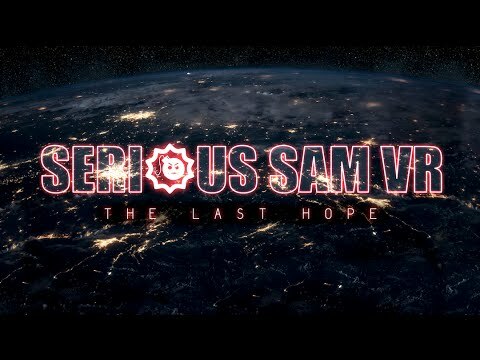 It’s Serious Sam in VR! But since running around willy-nilly in VR can cause nausea or cramps, this iteration appears to cement you in stationary positions, blasting at enemies closing in on you. Think of it as a glorified light gun game. 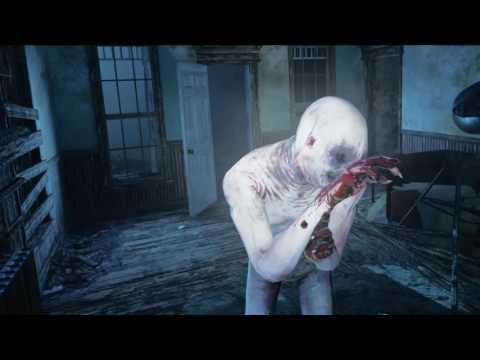 Killing Floor: Incursion looks to be largely similar to Serious Sam VR, only you’re shooting at monstrous zombies rather than aliens, and wearing an Oculus Rift rather than an HTC Vive. The traditional Killing Floor 2 is also receiving updates that lets you play as the Zed and a new character, as well as introducing a new sharpshooter perk. And yes, the game’s still in Early Access. FINALLY! And this is a whole new game, not just a VR-ified version of the innovative shooter released earlier this year. 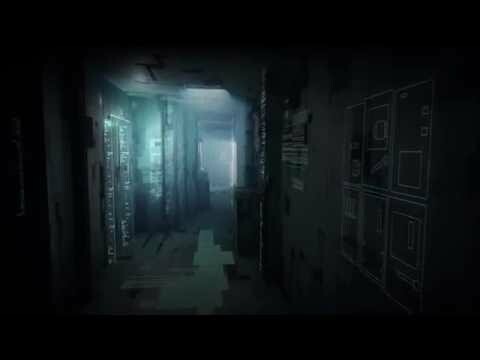 Not much was revealed about this new game from the makers of Layers of Fear, but the simple fact that the makers of Layers of Fear are creating a Soma-esque sci-fi horror game is something to pay close attention to. 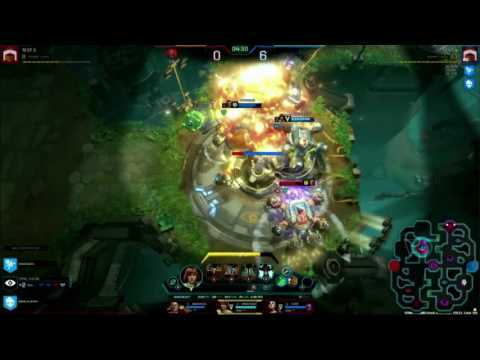 Dropzone’s essentially a blend of MOBAs like Dota 2 and RTS games like Starcraft into a singular entity, with players controlling a trio of characters simultaneously. Will it appeal to everybody, or be too simple for RTS fans and too complicated for MOBA gamers? Time will tell. Dual Universe looks an awful lot like No Man’s Sky, letting you fly from planet to planet and construct new cities. The biggest difference at first blush? Dual Universe is a “single-shard universe,” so everyone will be playing in the same world instance. 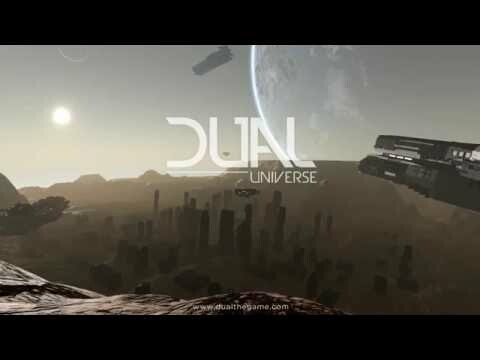 Don’t expect to see it for a while, though— Dual Universe is still in pre-alpha state. 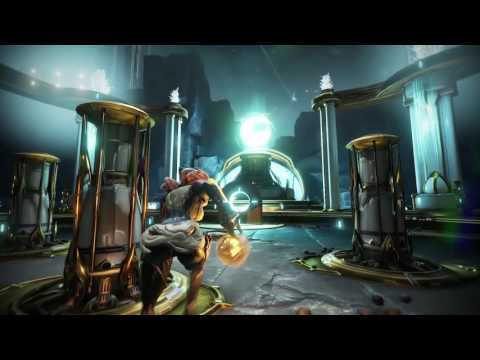 The popular sci-fi ninja action free-to-play game Warframe is turning its attention to arena sports. No, seriously. The Lunaro expansion adds goals, balls, and fantastical jai alai scoops to create what basically looks like Rocket League with ninjas and explosions. Sounds like it could be awesome—or awful.